K-5 students created collaborative murals inspired by the quilts of Gee's Bend and paintings by Kehinde Wiley. Students identified the use of color, shape and pattern in image examples of Gee's Bend quilts. 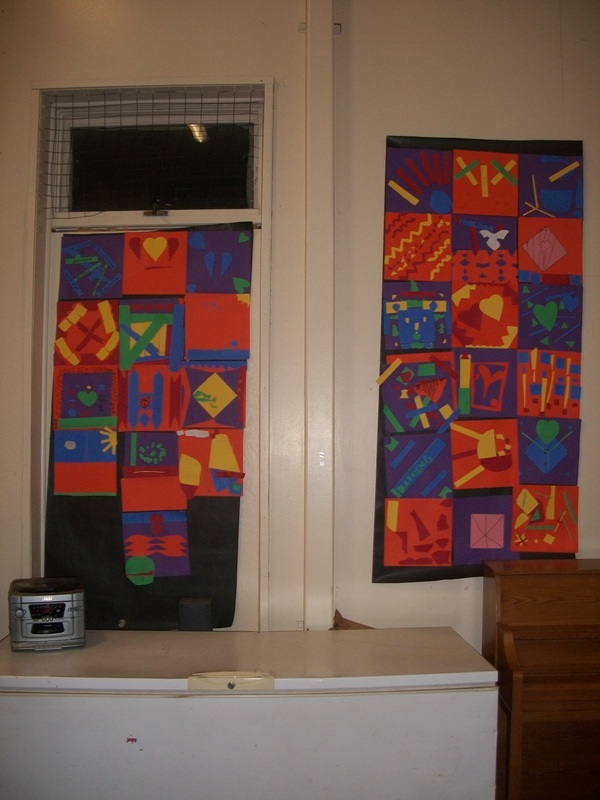 Each student created two individual "quilt" squares to contribute to the murals. Once the "quilts" had been assembled, students posed for individual and group portraits in the style of Kehinde Wiley. Students identified emotions and possible meanings in images of Wiley's paintings. The group discussed how the background design overlaps the subject in areas of Wiley's paintings. Some students chose to hold their individual square to recreate Wiley's effect in their own portraits.